At James J. Fox we pride ourselves on our heritage and our expertise. We have some of the finest minds within the tobacco industry. Three of our flagship store members hold the prestigious Masters of Habanos certificate. All of our staff are exceptionally knowledgeable in the world of tobacco and are happy to help with any query you may have.  I started working at JJ Fox in May 2012 and quickly realised how much I enjoyed working both with cigars and in the store. It was during a training trip to Cuba that I decided to enroll for the Higher Certificate Masters of Habanos course which I passed in November 2014. I am the current manager of James J. Fox Cigar Merchants No.19 St James's Street branch. I am an avid cigar smoker and a couple of my favorite smokes are the Montecristo Petit Edmundo, the Ramon Allones Specially Selected and the Gurkha Cellar Reserve Koi Perfecto, among others. I usually enjoy with a rum when I'm allowed, even sometimes when I'm not. Nic Barker here. I started working with cigars here at James J. Fox in 2002, and was instantly hooked. I must have smoked at least 100 different cigars in my first 6 months in the trade, I wanted as much as anything to discern WHY I like a particular smoke rather than simply IF. It was a lot of fun learning what tastes in particular you gravitate toward in a cigar. My favourite regularly produced cigar is the Bolivar Belicosos Finos, closely followed by the Ramon Allones Specially Selected, and the Partagas Lusitania. I've also been extremely lucky to try many heavily aged, rare, pre-embargo smokes etc over the years, and have thoroughly enjoyed them all. One of my recent projects has been to write all the product descriptions on our new website. I took and passed the Master of Habanos exam in April 2014. It’s also great to have something to physically document my experience, appreciation and product knowledge. It is an honour to have such a title. My name is Halil Osman and I started working in the cigar industry in 2004. My interest in cigars began when I was young, as my Dad used to smoke some handmade cigars and I was intrigued how and why he enjoyed them so much. Since starting at JJ Fox, I have expanded my knowledge and have had the opportunity to work in two of the world’s most famous department stores - Selfridges and Harrods. I am currently working in our flagship store in St James’s Street. Since working in these stores, I have learned to understand different people’s expectations and requirements. In November 2014, I took and passed the Master of Habanos exam which has helped and encouraged me to extend my knowledge and develop my skills in the cigar world and pick up a few things that you don’t learn day to day. The Rafael Gonzalez Petit Corona is my cigar of choice for a lighter bodied smoke. For the fuller puff, I prefer the Ramon Allones Specially Selected. While not an official Master of Habanos, Phil Shervington is a master in his own right. Phil has been working in the tobacco industry for over sixty years and is well known in the trade. From running his own tobacco store, to blending pipe tobaccos, his knowledge knows no boundaries. Phil is our master of pipes and would be delighted to talk to you about all aspects of smoking. These images are from UK Cigar Scene, photographs by Krystian Data.